Wind whipped and buffeted dramatically by the Atlantic, Nova Scotia is a province of bright green fields and beautiful cliffs. Its long peninsula is just connected to New Brunswick by a thin strip of land and just off shore is Cape Breton Island. Halifax is the capital but if you’re looking for the serenity and dramatic views this place is known for then you’ll probably find some of the best places to stay in Nova Scotia perched on a cliff looking out to sea. The name, which you might have guessed is Latin for ‘New Scotland’, gives you a hint about the culture here as well as the landscape. Typically friendly and resourceful, the population enjoy brief summers, spectacular springs and autumns and long, beautiful white winters. Nova Scotia is small by Canadian standards and fairly densely populated. If you’re looking for a bit of adventure you might want to travel the whole length of it, from Yarmouth in the southwest to the Cape Breton Highlands National Park, which is one of the most spectacular national parks on Canada’s Atlantic coast in the northeast. Halifax is a major port and a great place to come to delve into the history of Nova Scotia. It’s where you’ll find the Citadel Hill National Historic Site, a huge fort built in the 18th century on top of Halifax’s central hill, the fascinating Canadian Museum of Immigration and a great Maritime Museum. Nova Scotia also has an exceptional collection of great lighthouses and light stations, some seriously good destination wineries and breweries and some extremely rugged trails running through the interior and all along the spectacular coastline. Embark on long hikes through the stunning Breton Highlands National Park. Visit the Citadel Hill National Historic Site, a huge fort built in the 18th century on top of Halifax’s central hill. Stop by the fascinating Canadian Museum of Immigration and a great Maritime Museum in Halifax. Make a trip to the picture perfect UNESCO town of Lunenburg. Witness the dramatic changes in the tide. Our pick of the best places to stay in Nova Scotia is a gorgeous lodge which allows to you to enjoy this stunning province in the lap of luxury. The Trout Point Lodge of Nova Scotia is an upscale log lodge, nestled between the Tucket and Napier rivers. There are 12 rustic chic rooms with handcrafted furniture and open fires. There’s also an elegant dining room serving fixed four course banquets. Obviously the fishing is good, but this is also a wonderful spot for hikers. Halifax Stanfield International Airport (YHZ) is the main airport in the province, with services from other parts of Canada, the United States and Europe. By train, Via Rail Canada's Ocean travels from Montreal, Charny (Quebec City) and eastern New Brunswick to Nova Scotia. The best time to visit is the summer and autumn months (May - October) when the weather is pleasant. During the winter months (November to February) conditions are very cold but ideal for winter sports enthusiasts. 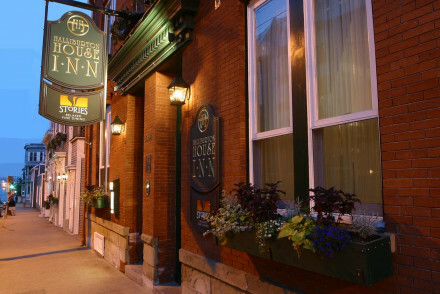 Browse through our list of all the best places to stay in Nova Scotia. Expand your search to incorporate neighbouring state New Brunswick. 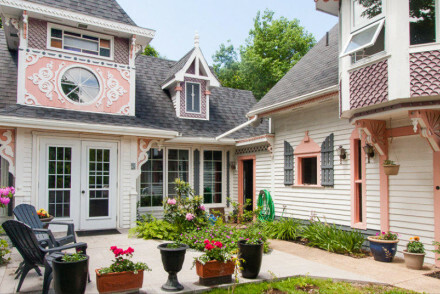 A candy pink house offering a whimsical stay in the heart of Nova Scotia. 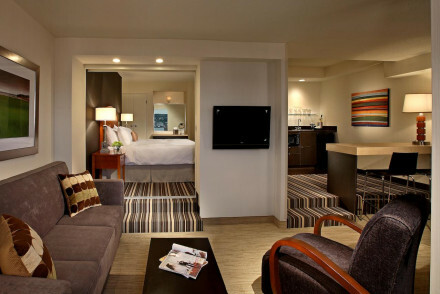 A handful of rooms are all individually dressed and have a warm homely feel. Opt for one of the two vast suites which also feature private hot tubs. The breakfasts are hearty and there's a large fire lit lounge. Charming. 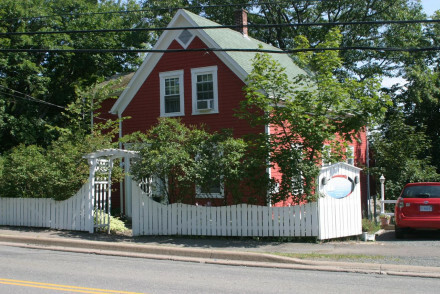 Local exploring - A charming property well positioned for exploring the historic sites and natural beauty of Nova Scotia. Sights nearby - Visit Port-Royal National Historic Site featuring a reconstruction of the Habitation, a fun family trip. A hidden gem in this stunning heritage town. The rooms are beautifully laid out, with rich fabrics, wicker chairs, local artworks and extremely comfortable beds. With views overlooking the harbour and waterfront this unique family run property is really a show stopper. Value chic - A beautiful heritage builiding, with charming and well thought out rooms, offering views of the sea- at a reasonable price! 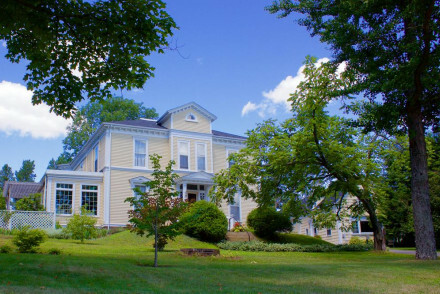 Set in mature gardens this is an elegant inn offering a peaceful stay in the heart of Wolfville. Spacious rooms are filled with a choice selection of antiques and all offer lovely views from their large sash windows. An outdoor pool is a real plus during the summer months. Fabulous. Local exploring - A tranquil base to explore Wolfville and its surrounds. Short fly break - Well placed for those visiting Acadia University. Local markets - Visit the Wolfville Farmers’ Market which runs every Saturday. Birdwatching - Get out of town and spot the magnificent bald eagles. 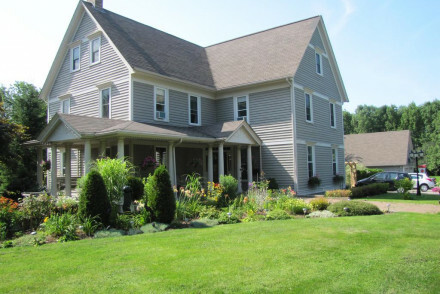 A charming small bed and breakfast in a delightful wine-region of Nova Scotia. Interiors are traditional and homely and the hosts match this with boundless hospitality. Set in beautifully manicured gardens and dotted with quiet seated spots to unwind on the wide veranda. A charming boutique property set in a converted heritage townhouse, offering signature dining and well appointed guest-rooms making it a favourite downtown retreat. Ideally placed to explore the centre, with the port a short stroll away as well as restaurants, sights and bars. Value chic - With rooms from as little as CAD119 per night, it's excellent value for money. 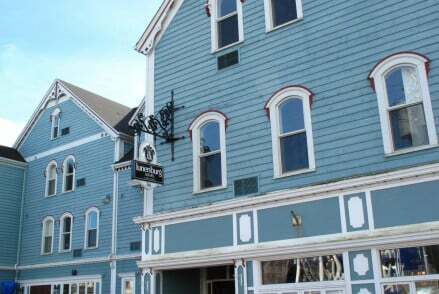 This small hotel is set in the charming seaside maritime town of Lunenburg, which is a designated UNESCO world heritage site. It offers stunning views of the sea, lovely sea walks, and local restaurants serving locally caught fish. It also has its own in-house restaurant and extensive spa. 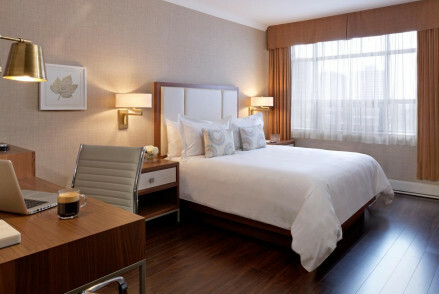 Built in 1927 this grand hotel is the first of its kind in Halifax. Overlooking the 16-acre park, a downtown oasis, it's an ideal spot for those seeking green space as well as bustling town vibes. Featuring a fine dining restaurant, and just a stone's throw from the town's main sights. 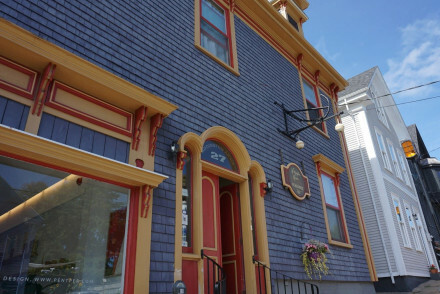 Centrally located in downtown Halifax, an ideal spot from which to explore the city's restaurants, sights and bars. For active types there is a well equipped fitness centre and morning runs organised through the hotel. There is an on-site restaurant, bar and a roof-top offering stunning views. 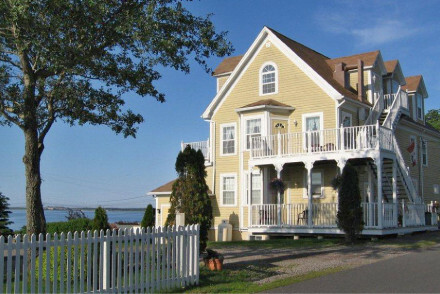 This intimate and historic 3-bedroom harbourside B&B offers stunning views of the ocean. An ideal retreat for those seeking wholesome walks, beautiful beaches and refreshing swimming. The town organises a lively program of celtic music, dance and comedy in the summer months. 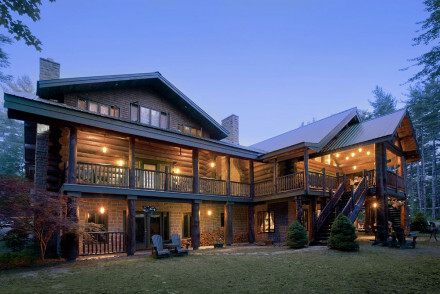 An upscale log Lodge, nestled between the Tusket and Napier rivers in the Tobeatic Wilderness Area. The rustic chic rooms feature handcrafted wooden furnishings, along with plush linens and warm fires. Delicious four course fixed meals are served in the elegant dining room. Sustainable and spoiling. Back to Nature - Tobeatic Wilderness Area is the largest wild area in the Maritimes, enjoy this unique opportunity to submerse yourself in it. Fishing - The lodge has fishing holes with catch and release holes and decking for you to sit in comfort! Restrictions on children - Children older than 14 years are welcome.